Alright everyone, this is my last sale of 2018! This is the first year I’ve really done a lot of holiday shows and I’ve learned a lot. My biggest takeaway is that I need to be more productive! My inventory is running low, and because I typically work in a 2 month long production phase, there won’t be new pots until after the new year. Stay tuned for 2019! I have a lot of new ideas as well as new clay and glaze tests that I want to experiment with. In case you missed Horseshoe market this past weekend I have another sale coming up this Thursday through Sunday! This sale is hosted by Castle Clay Artists, a coop of ceramic artists (including me!) 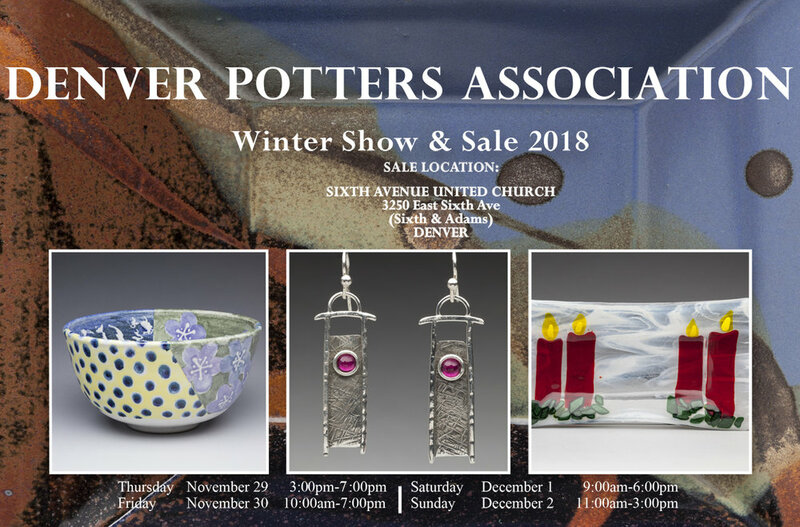 Together we display and sell ceramic art from our coop members as well as other local Colorado artists. This sale is primarily ceramic art and pottery but we also have jewelry, soap, wood, glass, etc. This is a great opportunity to see the variety of styles possible with the medium of clay, and of course supporting your local artist. For more details, RSVP to our Facebook event (link below) I will be working the sale Friday after 2pm. Hope to see you there! I have a couple shows coming up soon at the end of November. Keep your eyes out for this one! Located in the very unique Highlands Masonic Temple. This is the first time I’ll be in a Horseshoe Market and I’m so excited because this is my ‘hood! It doesn’t get more local than that. Hope to see you there! Thanks to Amber Wyatt for featuring me in a segment of her video at Cherry Creek this summer! Did you know I have a new stockist!? I'm so grateful and excited to have my pottery available at the Museum of Contemporary Art Gift Shop located in downtown Denver! Their shop focuses on local artists and I couldn't be happier to have my work among so many other talented people. Along with having my pottery in the gift shop I'm also participating in their upcoming Post-Holiday Market. Be sure to check it out! Hello friends! I should have posted this waaaaayyyy earlier because I can't describe how excited I am to be in Renegade Craft Fair this year! 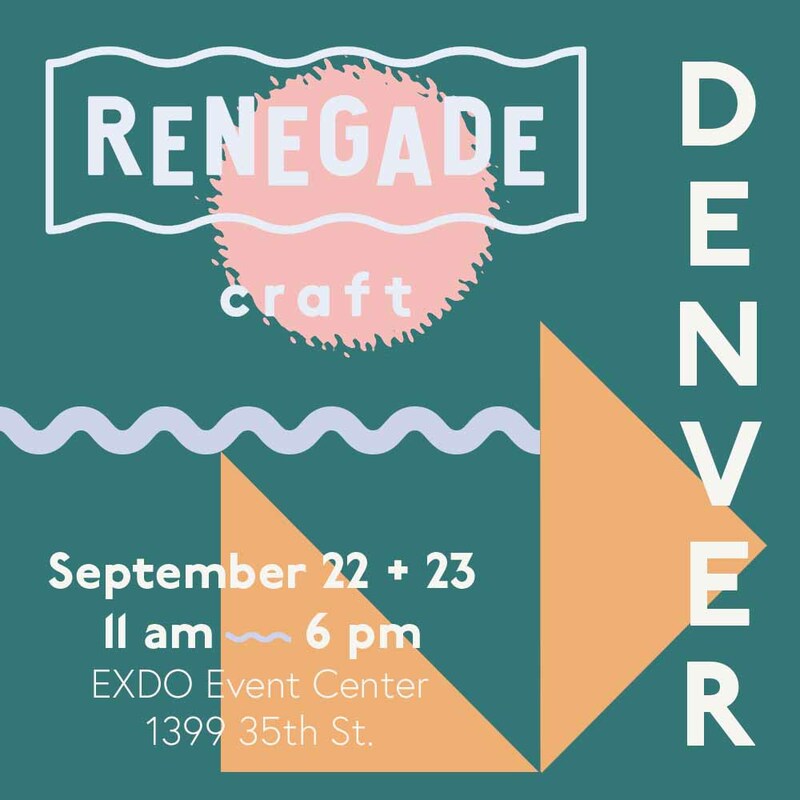 It's their first fair in Denver so please come check it out! I've wanted to be in Renegade since I first went to their winter fair back in Chicago in like, 2010? I was impressed; there were a lot of talented artists and craftspeople, good food, bustling atmosphere....all that. A long time of dreaming, so if you happen to live in Colorado come check it out.